Comments: ***PLEASE NOTE*** This book has suffered some water damage causing staining or wavy pages, however it is an acceptable, useable copy. Regardless of title, CD/DVD/Access Codes or Supplemental Materials are not guaranteed. This is a U.S. Student Edition Book. Feel free to ask for photos. 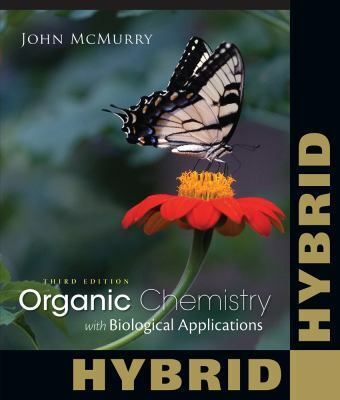 McMurry, John E. is the author of 'Organic Chemistry : With Biological Applications, Hybrid Edition (with OWL Printed Access Card)', published 2014 under ISBN 9781285867847 and ISBN 128586784X. Loading marketplace prices 75 copies from $48.44 How does the rental process work?